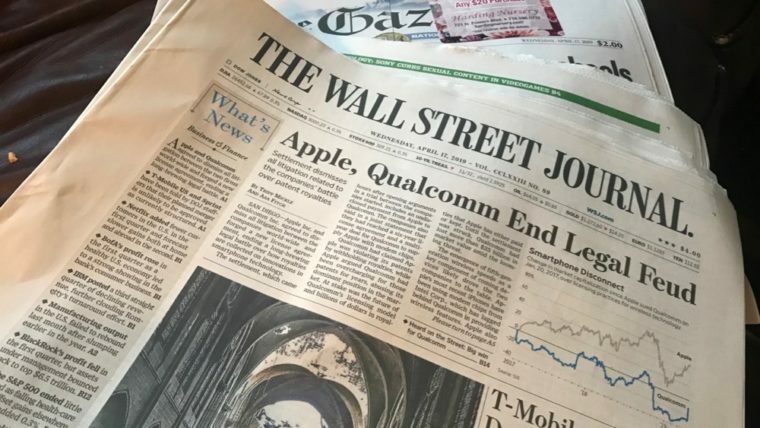 The Wall Street Journal has announced a new project in next weekend’s Future View. It’s on the social media mob, particularly in colleges and universities. It is incredibly similar to the mob that attacked my family. If you know the rest of our story, you know that my family is much different. The “mob” was easily riled up, whipping up a reality that was quite the contrary to our large, loving family. If Cynthia had came to us with accusations — no matter how fallacious or contrary to anyone else’s recollections — we would have dealt with it reasonably and patiently. That’s the kind of parents we are, and we encourage other parents to be just as patient, loving and kind. But that wasn’t what happened. Instead, Cynthia blogged about it, the “mob” blasted it all over social media, and tabloids republished the narrative of our so-called “house of horrors.” Instead of dealing with an upset family member, we had to deal with an online mob of strangers who cared little for — and knew little of — our family. One mob was a community of homeschool alumni who called themselves “Homeschoolers Anonymous.” I knew several of the founding members, even coached them in the days of their academic debating. I trained them to be excellent communicators and — at my expense — excellent persuaders. I had such high hopes for this group of young adults. My greatest hope was that they they would use their persuasive powers to weed out harmful ideologies from the homeschool movement. Just like I have. In many ways, they succeeded, and I was so naively proud of their accomplishments. I even praised them publicly for taking down the so-called patriarchy movement within the larger community of wholesome, healthy homeschooling. I thought it odd that he didn’t actually side with Cynthia. His rejection letter to me did not accuse me of the same abuse that Cynthia’s writing accused me of. He knew the truth, but the truth did not fit his ideology. So, he chose the road of the mob. He proceeded with the onslaught goal of ruining me, my reputation, and my life. He didn’t succeed, thankfully, but Homeschoolers Anonymous did for many people and families like mine. But they eventually went defunct. Today they label their website to be “An Archived Blog—Inactive.” I suppose that is good, but I’m still heartbroken that these homeschool speakers and debaters didn’t use their powers for good. They instead used it to [try to] ruin my family. Social media seemed destined to bring about Jürgen Habermas’s public sphere, John Rawls’s deliberative democracy, and Oliver Wendell Holmes’s marketplace of ideas, a prized forum for debate and discussion, open to all. In lieu of a guillotine, we now have the internet. In place of a human head on the chopping block, we have reputations…[T]his process of instant judgment proclaimed by the people is true to neither democracy nor justice. The accused deserve a fair trial, the benefit of the doubt and charity, not lasting public humiliation. In my family’s story of social smearing, Cynthia and her parents never got a chance to sit down and counsel through our problems. Our necks were shoved into the guillotine of the internet and our heads lopped off. Our reputations were smeared across the blogs and social media channels at the cost of healthy, enlightening dialogue. We never got a trial. We got public humiliation instead. I have received several letters from people who have suffered similar episodes of social smearing. Some of the stories resemble ours — adult child goes to college, is told their homes were abusive, then goes on a rampage of hateful and humiliating posts of childhood recollections of abuse. But the problem is not reserved to stories like ours. Neighbors will post about neighbors without ever visiting them next door, employees will gossip of an employee to ruin their standing at the office, and even extended family will take it upon themselves to post shameful images and stories to split a family apart. It’s awful. The greed for social justice, that lust for power, is unsustainable yet overpowering. That’s why even the best intentioned of mobs eventually turn on themselves, searching for a new king to topple. Don’t believe me? Look to Robespierre, who was executed in the same revolution he once championed, by the same mob he once led. My book will include a lengthy exposition on the “social media mob,” as the WSJ puts it. I don’t believe the perpetrators — including my daughter — mean to ruin reputations; there is some sort of self-deception that makes them think they are doing something noble or good. Like the French: they believed they were like freedom-loving Americans…as they terrorized and executed thousands in their historical “reign of terror.” Rational and loving observers like us are shocked, just as the world was shocked of the French Revolution in the 1800s, as we witness the madness. And madness it is. It is no wonder that these young people who are vilifying their parents and every good moral they were raised on also write quite a bit about their mental illness. It seems the mob is most encouraged by mad people, but I suspect the opposite to be true. Mad people are attracted to the power of the mob. Read the WSJ article I referenced here (subscription required), and watch for This Future View. Please support my work on social smearing by donating to my Patreon Page. This work is very important. Contact me with your stories of Facing Hate: Dealing with social smearing from the people we love.